Jan's Works of Heart: Cards. cards! Everywhere cards! 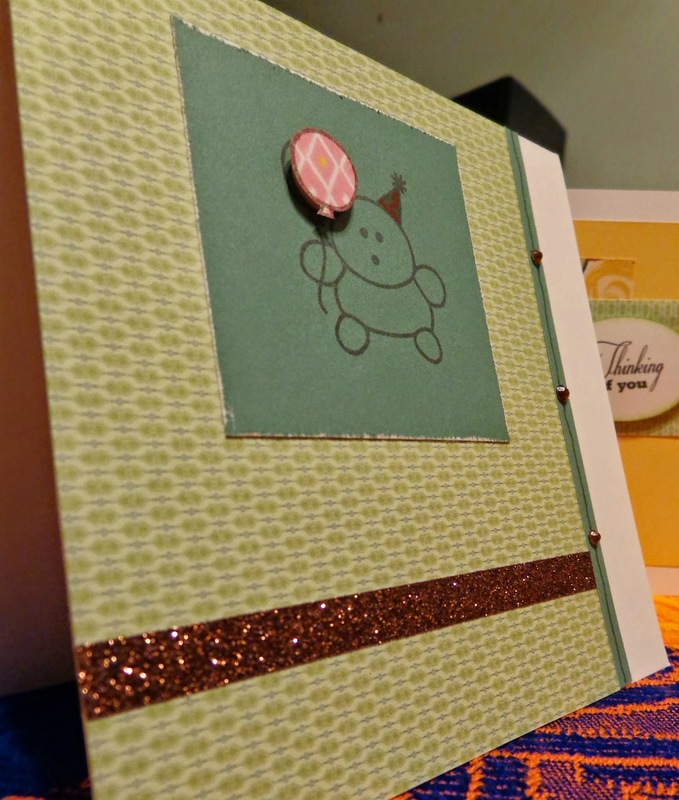 Welcome to the February Cross Canada blog hop where we will focus on CARDS!! I had never made my own cards until I started with Close to my Heart nearly four years ago, and since then I have found I LOVE to make my own!! Store bought are so blah beside a handmade with love card! Now, if you got here from Terry Ann's blog, you are in the right place, but if you get lost along the way, just return to Nova Scotia and Michelle for the complete list. As you go through our posts, please leave your comments. We love to get your feedback on our work. Here are my cards. 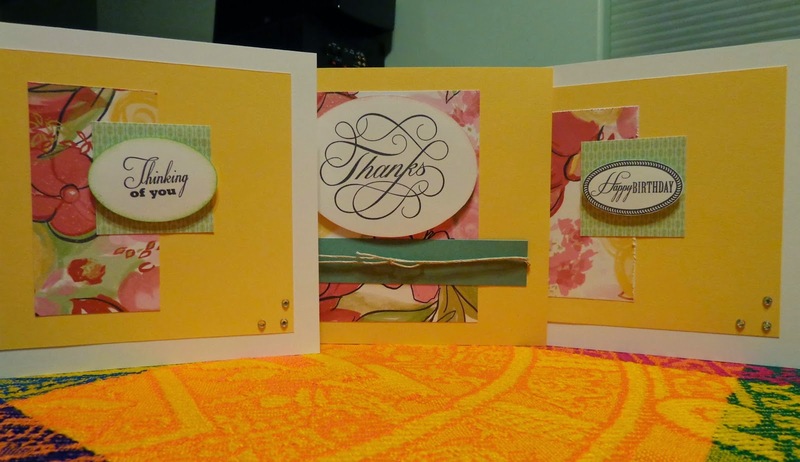 I used the Brushed and Chantilly bulk papers with White Daisy, Juniper and Canary cardstock. By the way, the cards are on the tablecloth I bought in Mexico in December! I LOVE the colours!! The ovals were all cut with the CM oval cutting system that I have had for many years (one tool that I do use regularly when I need an oval quickly). My Cricut mats are still MIA and I have not been able to get to Michael's to buy more. The Happy Birthday oval and the Thanks one with the corners (not the oval) were fussy cut. And of course, Anniversary Sticky Boy!! That's it for me this month. For more great artwork, head on over to Chantal's blog! And if you see anything on your travels here that you would like to learn more about, please contact your local Close to my Heart Independent Consultant who will be glad to answer all of your questions! Great cards, I love how vibrant the colors of the Brushed paper are. They really just make you think springtime and flowers. Great job, and those you swap with at convention will love them too. Great job! Love your Sticky Boy. Nice cards. Love it when the sentiment is in an oval. Lovely cards, you have a sticky boy! thank you for sharing. I see Sticky Boy! Cute cards. Great cards, Janet. Love your sticky boy...looks like he wants to go to the party too!